By Arthur Amsden. 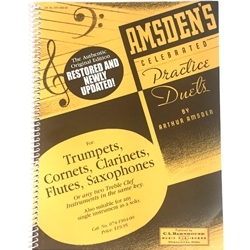 A collection of duets for trumpets, cornets, clarinets, flutes, saxophones, or any two treble clef instruments in the same key. Spiral bound for ease of use.